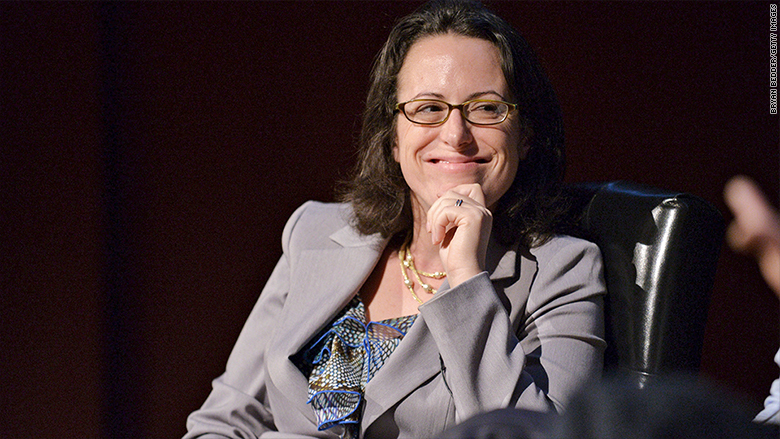 Several days before Donald Trump announced his bid for the presidency in June 2015, he invited New York Times reporter Maggie Haberman to lunch at Trump Grill. Haberman was late. Trump waited, as did his soon-to-be campaign aides: Corey Lewandowski, Michael Cohen, Hope Hicks and Sam Nunberg, the latter of whom recounted the details of the lunch in an interview with CNNMoney this week. At lunch, Trump and his aides laid out the framework of their soon-to-be campaign: the messaging, the media strategy, the staff they were building in early states. "We wanted her to get a taste that we were serious," Nunberg said. The fact that Trump decided to reveal all this to Haberman surprised no one at the table. She had known Trump and his people for a long time. She was a New York journalist, born and raised by New York journalists; a veteran of both major tabloids who was now writing at the Times, the most prestigious paper in town. As Jonathan Martin, a longtime colleague at the Times and Politico, put it, "All these are credentials that mean something to him." "Trump knows that she means business and knows that she's respected," Martin said, "knows that people look to her as an important voice." "She's always going to have a special place with the president," said Nunberg. "She's one of the most influential political reporters, and it's the New York Times. It may be 'the failing New York Times', but it's also the crown jewel, and he loves it." There may be no reporter Trump respects, and fears, more than Haberman. He may bash and beat up on the Times, and her, but he inevitably returns to her to share his thinking and participate in interviews. He does so because, in addition to having known her for so long, he knows that she matters, that she will not treat him with kid gloves but not be unfair either, that she commands the respect of the political communities in both Washington and New York. "I think he respects her diligence, her fairness, her intelligence and the investment she's put into the relationship," said Michael Barbaro, a colleague of Haberman's at the Times. At Trump Grill, Haberman listened, asked questions, took notes. She insisted on paying her own bill. Days later, Nunberg followed up and offered her the chance to break the news about Trump's announcement. It was the kind of major scoop any reporter would covet, the chance to get ahead on what would quickly become the biggest story in politics. Haberman declined. She had covered Trump in 2011, when he teased a presidential bid to create a media circus and garner attention, and she wasn't going to get played again. "She said she wasn't going to write anything til he actually ran," Nunberg recalled. As one of the best-sourced journalists in the game today, Haberman -- who is a CNN political analyst in addition to her day job at the Times -- gets to pick her scoops. Many journalists have marveled at the way she includes several new revelations in one story that other reporters would have spread out over many articles. It's because she has so much information. "There isn't a reporter in the game better at working sources, breaking news and calling BS on both parties, all day, every day for what seems like forever," said Jim Vandehei, the CEO of Axios and, formerly, Politico, where Haberman worked before joining the Times. "If you could clone her you could build a journalistic empire around Maggies." When Trump did announce, Haberman's first item for the Times was brutal. She questioned his credibility and suggested the only way for him to win New Hampshire was by buying the state. In the section meant to explain how he might actually win the presidency, all Haberman wrote was, "We are stumped. And we really tried." "I don't know if he was insulted," Nunberg said of Trump's reaction to the piece, "but it showed us the way the media was going to treat us." Over the course of the next two years, Trump repeatedly criticized the Times as a "failing" paper, a "dishonest" paper, "fake news," "total fiction," "irrelevant," even "the enemy of the American people." On Christmas Eve 2015, he singled out Haberman and one of her colleagues as "third rate reporters" who were biased in favor of Hillary Clinton. And yet time and time again, Trump came back to Haberman. He granted her at least a dozen news-making interviews, just counting the ones that were on the record. Reached for comment, Haberman was modest: "I'm a reporter who is covering him, and I don't think there's more of a relationship than that - he has known me awhile and I think he values the familiar in a lot of ways, and that helps. But since he became president, I've asked for the time." Nunberg and Haberman's colleagues say Trump talks to her because he knows she'll be responsible -- tough but fair. "I've marveled at how attentive she is to questions of fairness," said Barbaro. "This is a moment in journalism where a lot of people can be a little loose with things, and Maggie wakes up every morning and says, 'I am going to be fair,' and she is. People really trust that." The price of such proximity to power can often be one's credibility. Many reporters in American politics have traded objectivity for access, eagerly accepting what a president or politician gives them simply because they know it is new and exclusive. Haberman is not that reporter. "It's hard to think of a reporter who has balanced that better than her -- who gets access to Trump because he needs her, not because she needs him," said BuzzFeed editor-in chief Ben Smith, who has known Haberman since 2001, when they were young reporters sharing a work space in the basement of New York's City Hall. Smith attributes that to Haberman's experience working at The New York Post and The New York Daily News: "In New York tabloids you have a sense of your own power, and the impact you have on the people you're writing about," he said. "She combines a very contemporary sense of the responsibilities of journalism with a very old school tabloid aggression and affect." At no time was Haberman's power and responsibility on greater display than earlier this week, when she and her colleague Glenn Thrush interviewed Trump in the Oval Office. Early on in the interview, Trump tried to hit the Times for not paying enough attention to a story that the White House and its allies had been pushing about President Obama's national security adviser, Susan Rice, requesting to unmask the identities of Trump associates who'd been caught up in surveillance of Russians during the Obama administration. "I think the Susan Rice thing is a massive story," the president said. "I think it's a massive, massive story. All over the world. I mean, other than The New York Times." Without skipping a beat, Haberman fired back: "We've written about it twice." Later, Trump made a joke about NBC's Andrea Mitchell being "Hillary Clinton's P.R. person," then added, "Course, you've been accused of that also." Haberman, again unfazed: "Mostly by you, though." Listening to the tape, it's clear Trump took no offense to this. It's clear he respects Haberman, and even enjoyed the back-and-forth. "He obviously respects her and probably fears her too," said Martin. Everyone who knows Haberman knows that this is her time. She is thoroughly sourced in Trump's world, fearless but fair, and also understands intimately who Trump is and how he operates. "She was made for this moment," said Smith. "She has a better handle on the most important story in the world, which is Donald Trump, than any other reporter."